There are many different types of domain names. Most of you understand that a domain name is the main name of a website. There are also different types of domain names. Like subdomain, parked, and addon domain. Each of these domain names serve a different purpose to web development. A domain name by definition is how the computer recognizes where to send a user request to a certain IP address. Computers work mostly in numbers, but as people, we like clever names. Remembering names is easier than remembering an IP address. For example, going to Twitter without a domain name would require typing an IP address: 199.59.149.198. Domain names are much easier to remember. A subdomain is an extension from the parent domain. You see them everywhere on the internet. They can come in handy when you have to develop other tired sites within one big site. The most common area you have seen them are for mobiles sites. This is where they need to control the development to one site without affecting the other. In this case, developing a mobile site, without the chance of crossing into the desktop site. If you use a CDN service for your images or movies. A subdomain can help you manage what content is being cached. 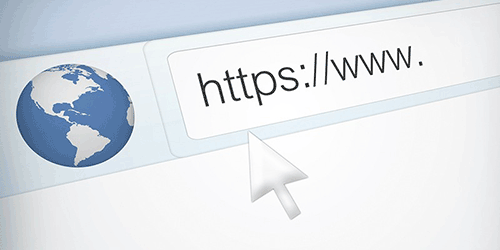 For instance, you could have a subdomain https://images.website.com, that directs to your image directory on your server. Then you can config your caching service to only use that domain when caching media. In result, all your images will be cached but others elements will be treated normally. This can also be helpful when if you have a complex file system. If you images are four or five directories deep. You could set the subdomain https://banner.website.com and have it redirect to the /img/access/banner/ directory. Another common area for developers is creating a "dev" site. A "dev" site is what it sounds like. A site separate from the main site where they can test changes to code or new code being implemented. These sites are usually mirrors from the original ones. A parked domain is what is sounds like. It is a domain that has very little use. There have been two main uses for them. First one is using them for marketing and tracking. By having a separate domain name for advertising gives you a few advantages. Having your own domain for marketing separates your promotion from the website. This gives you full control to see how effective your promotion is. Your numbers won't be skewed by other things on the current website. Another definition of a parked domain could be a common soon or under construction site. Because they is nothing useful on these pages they are considered parked. Addon domains are the same as a domain name. It's how your web hosting company differentiates them on your account. When you add another domain name to your account, it is considered an addon domain. This can be useful if your business has multiple services, but operates as separate entities. Say you have an office supply company that is starting to expand to online printing. You don't want to mingle them together. You buy a new domain name for the printing business. You add it to the same hosting account as your office supply domain name. By doing this, it is considered an addon domain. Addon Domains work exactly like a domain name. It doesn't affect search engine ranking or how it is displayed to your users. Domain names are fairly cheap to get and hold on to. Always check GoDaddy's coupons and promotions to see what they are offering. They are the largest domain register on the internet and has great customer service. With the different examples of domain names, you now know how to effectively use them. If it's for organization, test, development, or marketing, you'll know which one to use. This is really a descriptive area of letting us know about the major but small differences between SubDomain, Addon Domain and Domain. Really was looking for the page but couldn't find it out.